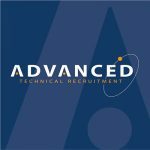 Short Business Description: We are a specialist recruitment company, with a strong focus on recruiting within Technical, Scientific and Engineering Industries, covering UK and Europe. Based on direct industrial knowledge, we are here to help with all of your recruitment requirements across the high tech and scientific industries including Photonics, Instrumentation, Defence, Electronics, Manufacturing, Vacuum and many more. Our aim is to supply high quality candidates in the most cost effective way. By adopting a partnership approach we aim to understand your full requirements, before supplying the candidates required to drive your business forward. Short Business Description: Do you need to get from Torbay (or surrounding areas) to a UK Airport, Train Station or Cruise Port? Running our own fleet of vehicles including cars and minibuses, we specialise in transfers that pick you up anywhere in Torbay (or surrounding areas) and drive you in comfort to any UK Airport, Train Station or Cruise Port. Our drivers are all experienced, insured, vetted and DBS checked. Get in touch today or visit us in our shop at 226 Torquay Road, Paignton, TQ3 2HN to discuss your airport transfer. Short Business Description: Providing stunning photography in Torbay. If you need some amazing images for your business, website, special occasion or even your wedding or children, I can help.. Local photography packages tailored to you..
Short Business Description: Jewellery making doesn't have to be difficult! Come and join one of our fun and interesting classes creating your very own unique pieces of keepsake jewellery from pure .999 silver! Work with your Art Clay instructor Stephanie Pillinger to create your very own pendant in pure .999 silver. No experience is needed in jewellery making - Just just bring your imagination, or follow one of the step-by-step patterns provided. Held at my first floor studio in an old converted stone building in Brixham, Devon, our classes have a relaxed atmosphere and lots of one-to-one personal attention. This course also makes a great alternative gift for someone creative! Course are run throughout the year at my studio and other venues across South West England - contact me or visit my website for more info. Short Business Description: Baby Massage , Baby Development and Parent Support in a relaxed, friendly and non-judgemental environment in South Devon. We currently have classes at Mothercare Torquay and in Newton Abbot. Here at Baby Bloom Development we are passionate about postnatal support, early attachment and positive touch. As mums to small children ourselves, Leigh and I fully understand the stresses and worries, as well as the joys, of having a new baby and we are committed to helping you find your flow. When you come along to one of our sessions, you will always be greeted with a warm smile and made to feel at ease. We pride ourselves on our friendly and relaxed approach which provides the perfect 'safe space' to ask questions and seek advice. 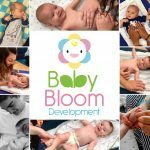 It is our firm belief is that 'it takes a village' and for this reason when you sign up for a course or a workshop with us you automatically join our tribe of 'Baby Bloom Buddies'! We promise to continue to support you for as long as you need, through our closed Facebook group, regular meet-ups and constant availability. You will also receive our Baby Bloom Buddies Card which fully embraces our community spirit. You can rest assured that we are here to support you throughout your parenthood journey. Affordable & Reliable Detailing to Enhance your Vehicles Appearance!. 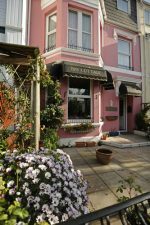 Bay Cottage Guest House is in an ideal location for you if you are planning a holiday beside the sea and want to explore Paignton, Brixham, Torquay, Dartmoor and South Devon. You can order a traditional cooked breakfast which is ideal before a day of walking and exploring the local countryside. Alternatively, you can choose a lighter breakfast if you want a quiet, more relaxing day strolling along the seafront or visiting the nearby music pubs. Paignton is close to a number of National Trust Homes and Gardens so the Guest House is an ideal base from which you can explore these jewels in South Devon. If you stay at Bay Cottage, you will only be a few minutes walk from Paignton town centre and just 150 metres from the seafront! All our rooms are en suite and accessed via stairs. I have 17 years’ experience working as a personal assistant in commercial environments where my administration and organisational skills came into their own. Whether working through paperwork in your home, managing your inbox as your business grows, maintaining your diary, setting up a filing system or remotely assisting you with your to-do list, once we have discussed your needs we can decide how I can best assist you. Short Business Description: High-quality website services for the tech industry specialising in bespoke application development. Boost Digital Media is a full end to end website design and development service agency. Simply put, Boost Digital Media builds websites with care and support for businesses both small and large across South Devon and beyond. Collectively Boost Digital Media has over 27 years experience. That experiences comes together to deliver effective, crystal clear digital products that drive traffic and provide your business with an ROI. All websites that we design, build and put online are never bought from a theme farm, they are tailored enabling our clients to position their brand and products uniquely. Short Business Description: Family run business specialising in aerial and satellite installation & maintenance. 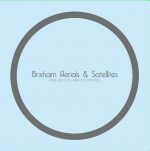 We are a family run business that specialises in aerial and satellite installation and maintenance. We also offer a TV installation and mounting service, alongside Wi-fi installation and support. We provide services to both commercial and private clients, and serve the area around Torbay and the South Hams.